The majority of positive tests show multiple drugs. Between 80% and 90% of drug tests administered to drivers on Ibiza’s roads are positive, according to the General Direction of Traffic (DGT). This is a much higher figure than that returned for alcohol, however this is explained by the fact that alcohol tests are far more commonly administered. Traffico state that in a routine alcohol control there will typically be around 200 breath tests. Of these on average between eight and twelve yield a positive result, so 4 to 6%. In the case of narcotics, the tests are only undertaken when there is a specific reason or suspicion of the driver having consumed drugs. In this case between eight and nine confirm the consumption of drugs out of every ten carried out. 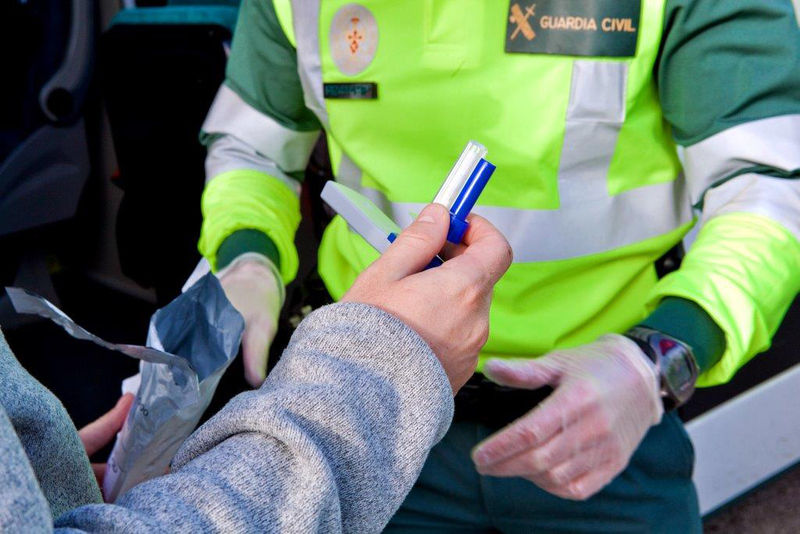 For alcohol tests, the Civil Guard Traffic officers have an approximation ethylometer that allows them to discriminate in just five seconds which drivers have consumed alcohol. Based on that result they then undertake the more accurate and evidential tests. By contrast drug tests require more time and there is no evidence of approximation. The DGT explain that drug control is undertaken for those drivers in whom “agents appreciate symptoms of consumption”, since all have received training on the effects that drugs cause in the body. However, the purpose of these controls is not only to locate offenders, but to randomly test drivers to make people aware of what they do. In so far as the type of drug detected in these tests, in Ibiza the most common is cocaine and its derivatives. Second, the cannabis group – which includes hashish and marijuana. Third on the drug list comes methamphetamine. However, the most common test result overall is that of multiple drug consumption. Traffico did not give data as to how common this was or what the most common combinations were, simply stating it happens “more than it should”. Their report also stated that the high ratio of positive drug tests were evident in winter and summer, and in both regular and professional drivers. The drug detection test is carried out inside the Civil Guard van and usually lasts a few minutes. It consists of using a rod to take a person’s saliva, which is then inserted into a device that gives the results. The device determines the presence of up to five groups of narcotic substances, although the regulations in place do not increase the amount of the penalty if it is positive in a single group of drugs, or in all five. The Office of the Prosecutor state that those found guilty of drug use are processed as an administrative manner, not as an infraction of the Penal Code. The exception is in cases where there are accidents with serious injuries or fatalities. “The Criminal Code does not establish that it has to give an exact amount of drugs”, they point out from the Public Prosecutor’s Office. They continue by saying that the difficulty is that it is worded as “to drive under the influence of the drugs” but has not been established which drugs have greater or lesser affect, and at what rate etc. “It is clear that the drugs have an affect, otherwise they would not be consumed,” they add. In this respect the open wording of the law also has a consequence in that there is no ‘amount’ set, so that any presence in the body whatsoever, is considered an infraction. And on this they clarify that it does not matter when the substance was consumed, regardless of how many hours, days or even weeks ago it was taken. If it is shown in the tests it is an infraction. They say one of the most common responses to a positive test is that the drugs were taken a long time before, but it makes no difference in the eyes of the law. When the saliva test is positive, a second sample is inserted into a sealed tube. This is identified with a code associated with the complaint and sent to the laboratory for analysis. When the laboratory test ratifies the one carried out on location, the sanctioning procedure against the driver is initiated.